For many people, healthcare is something they only think about when they’re sick, but that approach can leave you scrambling if you do develop a health problem. A wiser strategy is to take a proactive approach to healthcare planning, managing your health risks and taking steps to be as healthy as possible. One valuable resource for developing and implementing that strategy is a health advisor. A health advisor is someone who takes on the role of advocate and helps you navigate the healthcare system—from researching conditions and treatments, to helping you find physicians and schedule appointments and managing your medical records. Some people ask a friend or family member to take on this role. Others enlist the help of professional health advisors. Why do you need a health advisor when you’re healthy? There are a number of different ways that a health advisor can help you and your family when you’re healthy and when you’re facing an illness or injury. Proactive prevention: An advisor can help you make sure you receive all appropriate preventive care, including annual physicals, immunizations and screenings and ensure you receive any needed follow-up care or diagnostic testing. He or she can also help you set wellness goals, such as weight management, exercise, healthy sleep and stress reduction and help you develop an action plan to achieve your goals. Risk management: By understanding your health risks, you can take steps to manage them. An advisor can help you gather your personal and family health history so you can work with your physician to identify any health risks you face, such as heart disease, cancer, depression, diabetes, or other diseases. Your physician can recommend proactive steps to reduce your risk and your advisor can help you follow through with your risk reduction strategy by guiding you to appropriate specialists. Medical records collection and management: This is especially important if you see multiple doctors. An advisor can gather and review the medical records from all the doctors you see, as well as any records from treatments you’ve received in a hospital or other medical facility. After bringing all that information together, an advisor can help you create a comprehensive, universal medical record so that any physician who treats you has access to all your medical information, an important factor in preventing medical errors and misdiagnosis. Access to evidence-based information: An advisor can help you find physicians with the experience and expertise to help you achieve your health goals. He or she can also provide you with the latest objective, evidence-based information so that you understand any diagnosis you face and can make an informed decision about your treatment. 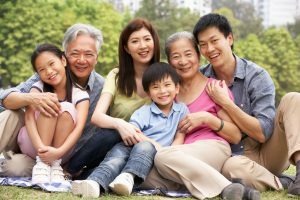 If you or a member of your family does face a health problem or serious injury, an advisor can provide you with the facts about the best specialists and hospitals for the diagnosis, schedule a second opinion, research diagnostic and treatment options, and ensure that all treating physicians have access to your universal medical record. That support gives you peace of mind when you need it most.